Most parents understand the dangers of leaving a family Internet browser unprotected from the web. The browser is an instant doorway to filth, perversion and images of gore and violence. While you may not want to shelter your children from learning about the dark side of life, there is a certain age where it’s more appropriate to talk about those things. A four or five year old using the Internet for games and fun shouldn’t be at risk to being exposed to such things. Even though parents understand the risk, many don’t understand the technology enough to install or enable the appropriate filters. A lot of people use parental control software, like the 5 that Varun previously covered 5 Free Parental Control Software That Will Set Your Mind at Ease 5 Free Parental Control Software That Will Set Your Mind at Ease Read More , or other programs like FamilyShield or Visikid. Any Weblock is one of the simplest applications to use, which is why I recommend it for parents that are not at all computer-savvy. Setup is a very brief three step process – install and configure, add the websites to blog, and then activate your changes. The first step is pretty straightforward. The first time you run the installed application, it will ask you what you want to set up as the administrator password. Make sure this is something your kids, or whoever you’re trying to block content from, cannot easily guess. Obviously, using your name or simple passwords that you use all the time is not a good idea. The next step of configuration involves setting up the websites that you’d like to block. Now, if you want to bring in existing blacklists, just click on the “Import” button. On the import screen you can bring in XML list files that you exported from your other computer (making it easy to use one list across multiple PCs), or you can click on the external link and visit the AnyUtils website for external blacklists, such as Shalla’s blacklist, which has over 1.4 million entries. Keep in mind that this many entries may hamper performance on some systems, so if you find that you can’t access any website after enabling such a long list, just click on the “Roll back” button to set things back to before you applied the filter and then try a few lists. If you have specific sites that you want to block, such as certain popular social networking sites that make kids lose track of time and not do their homework, you can do so by clicking the green “Add” button. In its simplest form, you just type in the domain of the site you want to block in its entirety and click OK. That’s all there is to it. No DNS configuration, no control panel searching and no hacking skills required. Once you click on “Apply changes“, you won’t be able to access the websites that you’ve added to your blacklist. This isn’t one of those applications that only works with IE. Once you add a domain to your blacklist, no browser will be able to access the website. If you try, you’ll see the following error. The software is also flexible enough so that you can block subdomains without actually blocking an entire domain. This work swell for websites like Blogspot, because there are many websites hosted on the blogspot.com domain, but you may only want to actually block one or two of them. With the ability to block only subdomains, you can do that. Visiting BlogSpot.com, you’ll see that you can access the main domain just fine. If you attempt to visit any of the subdomain websites you’ve banned, up comes the “Unable to connect” error. There are a few other cool features of this software. For example, as I mentioned briefly earlier, you can export your entire blacklist to any directory on the network or onto another computer. To do this, just select the export button at the top of the main screen. The blacklist (or block list) file is exported as an XML file. Any other PC with Any Weblock installed can import this XML file, which makes it very easy to use matching blocklists on all of your family PCs. 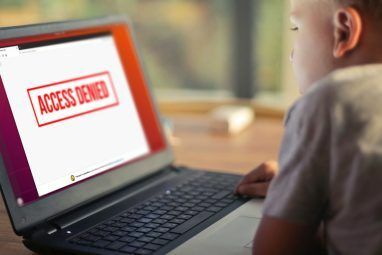 Once Weblock is installed on a particular PC, the next time you (or one of your kids) tries to run it, they will encounter a password entry window. The only way to get into the software to configure or disable it is to type in this password – so when you set it up initially, don’t lose it! 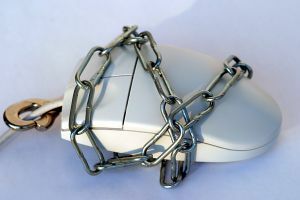 Weblock is one of the fastest and easiest ways to initiate a website ban list for every web browser on a PC without the need for complicated configurations or tweaking every browser. Just install, create your banlist, and you’re off! Explore more about: Internet Filters, Parental Control. I have had very good luck with K9 watchdog, though the only issue with that is when it is setup on a computer it will lock down all user accounts to the same settings. I'm using Windows Live Family safety now and it works really well and can monitor what sites my kids are going on. Itâ€™s so cool, here I want to introduce a cool software, tuneup360, try it, which is really amazing!!! There is also OpenDNS. Doest everything from blocking adult content to speeding up your internet connection. Lots of features and super easy to setup. Highly recommended. I alway use K9 with good results. 1)Open "Run" from start menu. 4)now just write all the sites u wanna block ( with 127.0.0.1 and space as suffix). I think K9 Web Protection is better than this. 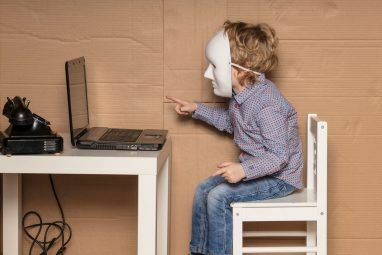 I think Norton's Online Family (http://onlinefamily.norton.com) is also a good, simple and free alternative for parents who do not have a good understanding of internet or network technology. You need only to create an account and install the Online Family software in each computer in the household; then go to settings to set websites and time restrictions for each computer user in your home. If you are just looking to block domains, without fancy keyword filters, etc, there is always the option to edit your hosts file. Its super simple and ads no bloat to your computer. Children know how to find installed software and then search for password cracking based on the software's name. I would think that most would be baffled by a hosts file. DG - that's an excellent point, thank you! You're right, these days kids can pretty much figure out anything. The hosts file approach would probably take a bit more know-how.